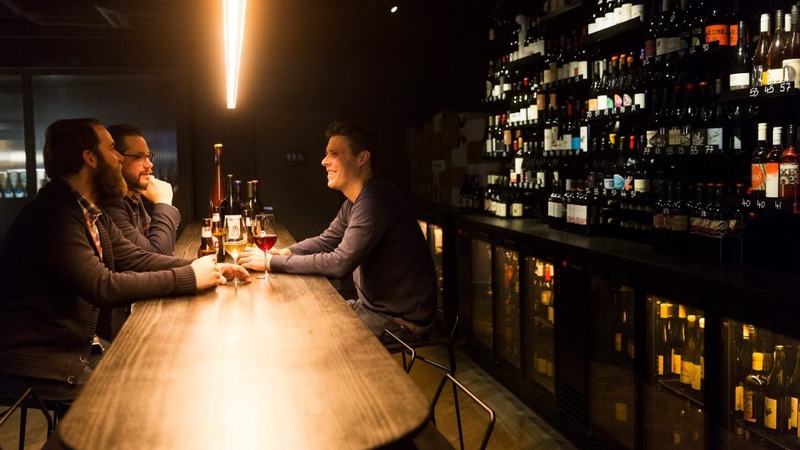 Swapping the safety of the suburbs for the challenges of the inner city may seem like the move of lunatics, but that's exactly what Lyndon Kubis and Mark Nelson have done with the launch of their latest wine bar, The Moon. So far, the Kubis-Nelson signature move has looked like this: Find a spot in a well-to-do, but not overtly hip, south-eastern suburb. Pour cracking wines at reasonable prices. Repeat. It's simple and it's worked well at their previous places (among them Toorak Cellars and Malvern's Milton Wine Shop). But can it fit in Collingwood, a part of town already saturated with wine bars? "There's definitely a lot of places to get a glass of wine around here but there's nowhere really like what we do," Kubis says. 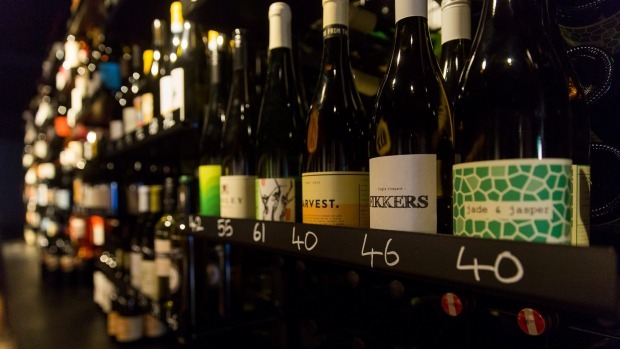 "The closest is probably Gertrude Street Enoteca, in regards to taking bottles off the shelf. We hope it's something that adds to the area." On the surface, The Moon looks different to the boys' southside bars. Furniture maker I Am Not Mason (with freelancer Camilla Burke) is behind the fitout again, but gone is the cypress-pine furniture and roaring open fireplaces of Toorak Cellars, Milton Wine Shop, The Alps and The Hills, which Kubis and Nelson own with business partners Renton Carlyle-Taylor and Mark Hopkinson. The Moon is a sleeker affair, all concrete walls and herringbone timber floorboards, a white terrazzo bar and benchtops stained almost black. It's pouring the same great wines as the rest of their portfolio – a "sensible straddle" between classic and natural drops. A rotating by-the-glass list of 20 wines currently features Larmandier-Bernier champagne alongside Goisot aligote and Patrick Sullivan pinot. Another 300-odd bottles are available to drink in or take away. Food sticks to the cheese-and-charcuterie brief although with joints like Meatsmith around the corner, the menu will be flexible and dictated by what looks good that day. 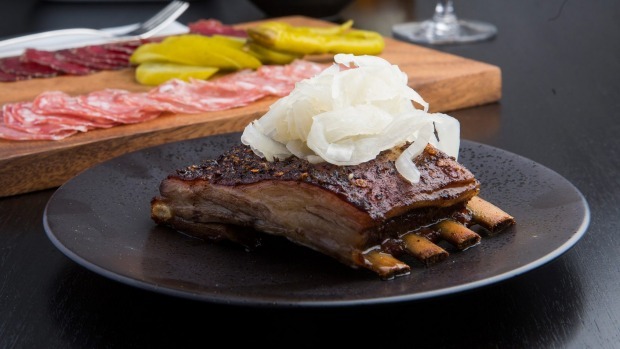 It'll always be snacks and small plates, though, as booze is the star here. "The idea is that you never have to put your drink down to eat," Nelson says. Regardless, there's still room for the occasional chef-collab, the first of which is happening on September 17. Former Builders Arms chef Josh Murphy will take over the kitchen with sommelier Campbell Burton pouring all that's delicious.